Hey guys, welcome to my stop on the Krengel & the Krampusz Blog Tour hosted by Fire and Ice Book Tours! Click here to follow along with the tour schedule. The epic origin of a beloved holiday icon unfolds, as nine-year-old Klaas Krengel flees plague-ravaged Germania on a swashbuckling adventure across Medieval Europe to the remote ends of the earth, where he finds himself pitted against a gruesome host of adversaries, all resurrected from old Austrian lore. A bit of a spoiled brat, Krengel's only friend is an insidious counterpart called the Krampusz, a blue-furred monster who suffers from a pronounced hoarding disorder. Vexed by his half-brother's lifelong privilege and pampering, the Krampusz enjoys nothing more than imperiling the boy through calculated misdirection, ultimately trapping him in the bottomless depths of the enchanted "Sack of Shadows." Therein, a fantastic realm of weird and warring races demands a showdown between Krengel and its tyrannical ruler, a horrendous witch who alone holds a key to the connection between Krengel and the Krampusz. Every bell in Bari had a unique tone and timing. Each was synchronized to the timing of a specific, daily event. The toll of a bell would prompt a skyward glance from anyone within earshot, to make a quick check of the sun’s position. The bells were so intimately linked to the passage of time that on the rare occasions when every bell in the city tolled at once, the experience rattled a Baresi to his very soul, stilled him in his tracks, for time itself unraveled and was strewn to confetti. The joyous crash of sound reverberated through the seaport’s writhing arteries to flush pigeons in dappled flocks that flashed in the sky like schools of minnows. At midday on May ninth, the first day of the annual Festival of the Translation of the Holy Relics, Bari came alive with clanging bells. Starlings gushed from the clerestory windows around the pealing bell tower at Basilica di San Nicola, the final resting place of Bari’s patron saint. It was an imposing fortification, a somber hulk of ancient masonry that loomed darkly over the peninsula with its back to the Adriatic Sea. With its cruciform mass shouldered between Romanesque towers, it better resembled an English castle than an ordinary place of worship. And at times, it had served as such. Across the bustling piazza from the seaward dormitories, a hooded figure emerged from the basilica’s Lion’s Portal. The brown fabric of his Dominican robes flapped in the briny wind, throwing back his hood as he skulked beneath the engraved names of those famous sailors who rescued Saint Nicholas from Myra, five hundred years ago. He jerked the hood back over his naked head and turned to face the wall. Head bowed as though in prayer, he reached into the sleeve of his tunic, and withdrew a steely dagger. Cast upon the spike of shimmering steel, was a leering distortion of his broad face and blazing eyes. He lowered and tilted his chin, trailing his fingertips over his newly shaved scalp. It was another of the Krampusz’s bright ideas. Krengel smiled. He looked funny bald, a bit like Friar Otto. In five months, he’d grown in height and width. Though they might’ve starved a passive child with their severe Dominican diet of broth and rye, what were Krengel’s lifelong failings, but symptoms of his indomitable will to have while others around him had not. Greed ran strong in both sides of his family. And it was no small irony that Krengel, now a custodian of the relics of a saint canonized for profound acts of generosity, had honed his naturally greedy edge to a perfect tool for survival. Since Christmas Eve in Rome, he’d grown meaner, stronger, and more formidable. Daily acts of theft and trickery against the hardened peasants of a foreign land had honed Krengel, right beneath the noses of his Dominican handlers, into perhaps the most dogged urchin in all of Bari. Krengel lifted his tunic, glanced around the crowded piazza, and then sheathed the dagger back into a tight fold in his braies. He hitched up his secret contraption. The rope was itchy about his waist, and the weight of the invention had begun to chaff his flesh. The dangling wood blocks clonked between his knees. Should’ve wrapped them in cloth to quiet their knocking. Too late for any of that, now. This was the big day. Around front of the basilica, cartwheels rumbled against the pavers as guests and dignitaries continued to arrive. He’d not yet spotted Cardinal Moretti, rumored still unfit to attend this evening’s festivities, deathly ill as he’d been. Moretti posed him little threat in his weakened condition, but he was indeed the one person in all of Italy who could possibly spoil everything by summoning for him at the critical hour. Thus, the first phase of Krengel’s plan for May ninth was simply to avoid Moretti at all costs, to meld into the visiting crowds and simply lay low until sundown. The rector harried him to the main portal, where Cardinal Moretti was being lifted from his wagon in a sort of birthing position by a host of able-bodied Dominicans. The friars set him gently upon his unstable feet. He swayed weightlessly in the bullying wind, as though might at any moment be sucked off the earth and flung through the heavens. He lolled back his head and peered at the ecclesiastical assembly from beneath his fallen eyelids. The purplish growth in his lower jaw had swelled to the size of an onion, forcing his tongue to protrude like a newly hatched chick. He attempted to speak, but his lips produced only bubbles. Krengel’s survival for five months in the favored hunting grounds of this predator was owed mostly to a bout of poor health that robbed Moretti of all but an infant’s strength, slackening the musculature of his face, not a day after Miso del Gallo. As a result, Krengel hadn’t suffered sight of the awful man since Christmas Eve, which was fortunate, but rumor held that Moretti’s health was steadily improving. So said the Dominicans anyway, who’d just this morning doted over Moretti’s latest accomplishment of peeling and devouring a boiled egg all by himself. A breeze kicked up and snatched the mitre right off Moretti’s head, tumbling and spinning it down the street. But the friars supporting the feeble body of their guest could only look on in despair as they goaded him forward, one cautious step at a time. A silvery thread of slobber whipped from Moretti’s lip and bowed like a harp in the wind. Snowy wisps of hair all writhing on scabrous pedestals, Moretti looked for all the earth to be some deranged and ancient warlock, routed from his alpine rookery. As the trio approached, Krengel bent his knees until he felt those wood blocks beneath his tunic touch the ground. He then stepped atop them and rose, oh so slowly, to his tiptoes, causing the special knot from which they were suspended to unwind. Through the fabric of his robe, he gathered the reigns of his makeshift stilts. Those milling around him were so transfixed by the precarious transfer of Cardinal Moretti that none seemed to notice that Klaas Krengel had suddenly sprouted a foot in height, looking quite enough like an adult friar, with his broad shoulders and shaved head, to pass before the myopic eyes of the monster. Moretti made some unintelligible grunt as they led him past Krengel, swinging his disheveled head. Yellowed fingernails splayed as he reached for the boy, but groped naught but thin air. Those rattling claws sliced past his face without touching, only to rasp against the doorpost as they pulled Moretti inside. Safe. Just as the Krampusz had promised. So many friars were about for the Festival of the Translation of the Holy Relics, tending to all the dignitaries being housed in the monastic dormitories that a hooded man-boy on stilts could walk freely through the piazza, disturbing only a few pigeons. The first phase of his great caper was complete. Krengel grinned at the dull impact of his clopping stilts upon the pavers. By nightfall, he’d be comfortably seated aboard a ship destined for the Habsburg Netherlands, his mother’s homeland, where not even the Holy Roman Empire could touch him. But first, he needed a hostage. And not just any would do. His hostage was to be a man more celebrated in Bari than both Christ and Pope Alexander VI combined, a man with the power to lift an orphan right out of Bari. 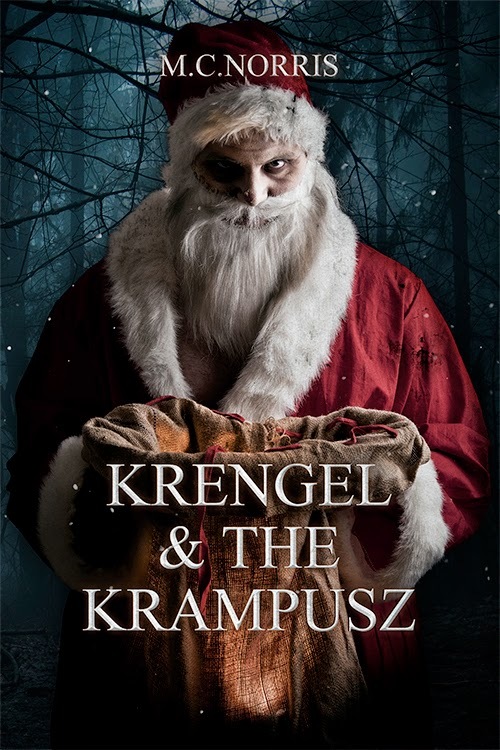 Not only did the cover for Krengel and the Krampusz draw me in, but the synopsis was deliciously intriguing. I love it when Christmas and horror are mixed together, and the results of the mixture in this novel inspire chills comparable to being stranded out in a blizzard. The language Norris uses to tell this story of Krengel and the Krampusz was mesmerizing, and though it took me time in the beginning to get into the rhythm, I couldn't imagine the book being written any other way. His rich and vivid descriptions stand out in my mind, and I reread some parts of the story because I found myself thinking, did that really just happen?? And yes, yes, it did. The book begins, and Krengel is shown to be a young boy who's spoiled, sheltered, and an all-around brat. Not how we picture Santa to be, right? There's also the Krampusz, who's demon-like and somehow co-exists with Krengel as though they share a body but have two separate minds. Different versions of Krengel's birth have been told. Some say Krengel had a twin whom his mother killed. Others say Krengel strangled his twin in utero. Still others say Krengel's twin was born deformed. None of these versions are happy as you can see. When Krengel throws a fit to be included in an all-boy traveling choir led by a monk, his father basically pushes his son into the monk's care. With that one decision, the novel really starts and horrific events soon unravel. Krengel quickly finds out the other boys in the choir hate him, and just one of the reasons being that he can't sing at all. In telling this dark tale, Norris engages all five of your senses, and you thoroughly feel like you're also living through the horror of unimaginable events unfolding before you. There were times I cringed and squirmed and felt relieved I did not live in this world he has created. I highly recommend Krengel & the Krampusz to every horror fan out there - this novel is an imaginative scare fest with intelligent and terror invoking writing. Norris is a master of the skill needed to re-imagining our beloved Santa Claus into the stuff of hellish nightmares. This is Christmas horror at its finest. M.C. 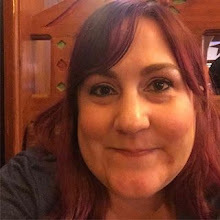 Norris is an Active HWA member, whose first four novels, all published by Severed Press, are slated for release in fall of 2014: Deep Devotion (9/1/14), Krengel & the Krampusz (11/1/14), The Dread Owba Coo-Coo (11/15/14), and Nod (TBA). 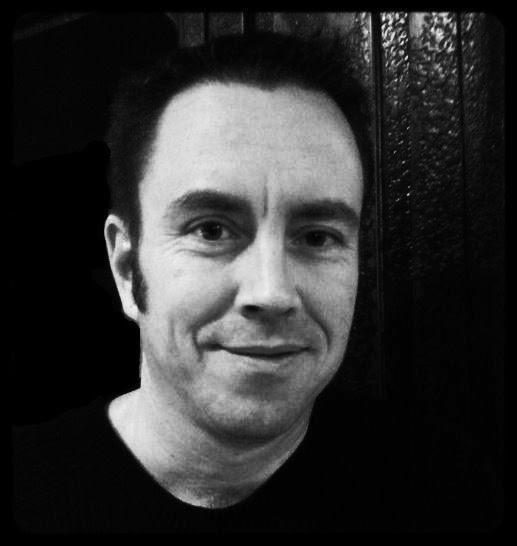 His nineteen short stories have appeared in numerous anthologies, magazines and e-zines including: Withersin, Wrong World DVD, Brainharvest Magazine, Pseudopod, Malicious Deviance, and Dead Bait. M.C. 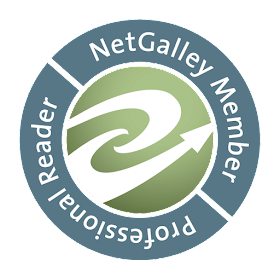 Norris also won 5th in Chizine/Leisure Books 13th Annual Short Story Contest. Hey guys! 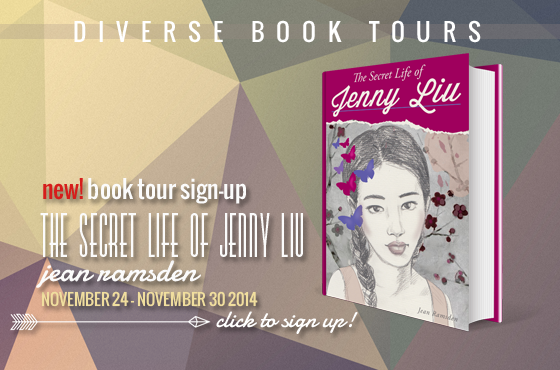 Welcome to my stop on The Secret Life of Jenny Liu Blog Tour hosted by Diverse Book Tours! Click here to follow along with the full tour schedule. Jenny Liu is on the move again. Except this time, she hasn’t landed at yet another Chinese-American School in California but at a public school in South Carolina. Shy, artistic Jenny wonders if she will ever figure out how to fit in amongst rowdy fifth graders and eccentric teachers with hard-to-understand southern accents. To make matters worse, the class thinks she is super smart and her piano teacher thinks she is a musical genius. With school activities that test her intelligence and an upcoming piano recital, it’s getting harder for Jenny to do what’s right—to tell the truth—especially since she knows that The Real Jenny Liu would be even more of an outsider. Or would she? 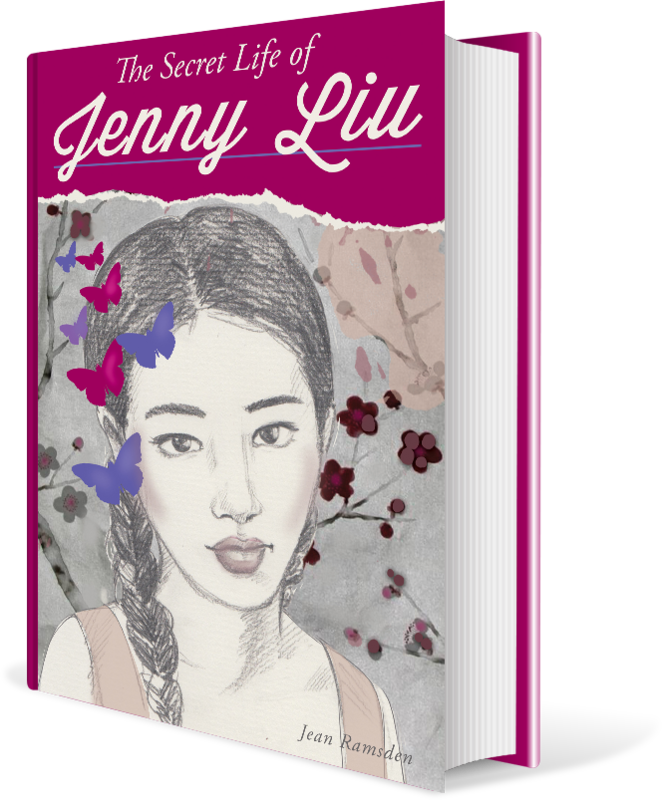 The Secret Life of Jenny Liu is a sweet and uplifting novel about a young Chinese American girl who loves her family, drawing comics, and bringing people together. Her family has just moved to Haverswell, South Carolina where Jenny begins as a new student in the fifth grade. Imagine what it would feel like to not only be the new kid but also like you don't fit in with the other kids, making you stand out even more when all you really want is to blend in. If you can imagine this, then you have an idea of how Jenny feels. She's changed school systems so many times she doesn't believe it's worth her time to strike up friendships. She'll just end up moving again and be forced to start over. But this time things are different. I loved how caring and selfless Jenny is, always thinking of others. She gets pure joy from sharing in happiness with others, and you can't help but love her and want her to have her own happiness, too. The way she creatively solves problems she sees around her in order to help out others is too sweet! For instance, she figures out a way to help a fellow student learn to stop saying "like" all the time without embarrassing that student. The cast of characters surrounding Jenny are full of personality and add to the story. Jenny's teacher, Ms. Candy, stands out the most in my mind as a secondary character. She has to be one of the most free spirited and fun loving teachers I've ever read about. I can tell she truly loves her job and is great with the kids. She's a terrific person, and I can't imagine her having any other job. I also love the moments between Jenny and her mother. I can tell how much her mother loves her, and their culture plays a large role in the ways she shows her love. Rather than hugging Jenny when she's upset, Jenny's mother makes them a pot of tea to share. Jenny mentions in the book that hugging isn't really something that's done in her culture. I picked up quite a few things about Chinese culture from reading this book, some things I knew while others I didn't. Overall, The Secret Life of Jenny Liu is a book I'll recommend to everyone I know. Even if you may not be into middle grade books, you'll fall in love with Jenny, one of the sweetest and most caring fifth graders you'll come across in fiction. I read the first thirty pages (then had to go to sleep, boo! ), and the next night I read the rest of the entire book. It's so good!! The characters and the plot drew me in, and I didn't want to say good-bye to them at the end. Jean Ramsden is a writer, producer and educational consultant. She graduated from Cornell University and Harvard University, and lives in North Carolina with her husband and four children. Hey there and welcome to my stop on the Winter Wolf Blog Tour hosted by Fire and Ice Book Tours! Click here to follow along with the full tour schedule. When I signed up to review Winter Wolf for the blog tour, I didn't realize until I started reading it that it's technically the second book in the Witch & Wolf series. But it has different characters and really can be read as a standalone. I'm now curious to read the first one at some point in the future. Nicole is a character I found myself liking pretty much right away. She has abilities that she has to hide so an organization known as the Inquisition won't find her and execute her. After she decides to use forbidden magic to investigate the cause of a murder that happened right next to her, she has to decide whether to save werewolves or let them die out. If they die out, she wouldn't have to worry about the Inquisition any longer, but she has family who are werewolves, which made me wonder why she hates the species so much. My only issue with this novel is the repetition - Nicole repeats things A LOT, such as her fear of the Inquisition and that jobs for her as an actress have dried up. I lost count of how many times Nicole mentioned these things and found myself annoyed when she'd bring them up because I knew these things already. Other than this, I really liked the story. Winter Wolf is a fun and entertaining novel to lose yourself in with interesting characters and the situations they find themselves facing. There's a lot going on with the abilities Nicole has, the werewolves, and the Inquisition, and it was a race to the end to find out how everything was going to turn out. When she isn’t playing pretend, she likes to think she’s a cartographer and a sumi-e painter. In reality, she herds cats and a husband. She is currently on a quest for a new warrior fish. Enter to win a $20 Amazon Gift Card! Open Internationally. This giveaway will run 11/24/14 – 12/22/14. Enter through Rafflecopter. I'm currently reading Winter Wolf and will have my review up tomorrow for the blog tour! I'm super excited to share my thoughts about the book with all of you! Until then, check out an excerpt from the book below. I received a free sample of this product in exchange for an honest review. With each birthday, especially the closer I reach forty, I notice more and more fine lines and wrinkles, especially around my eyes. I'm also having issues with my skin drying out easily as well as uneven skin tone. 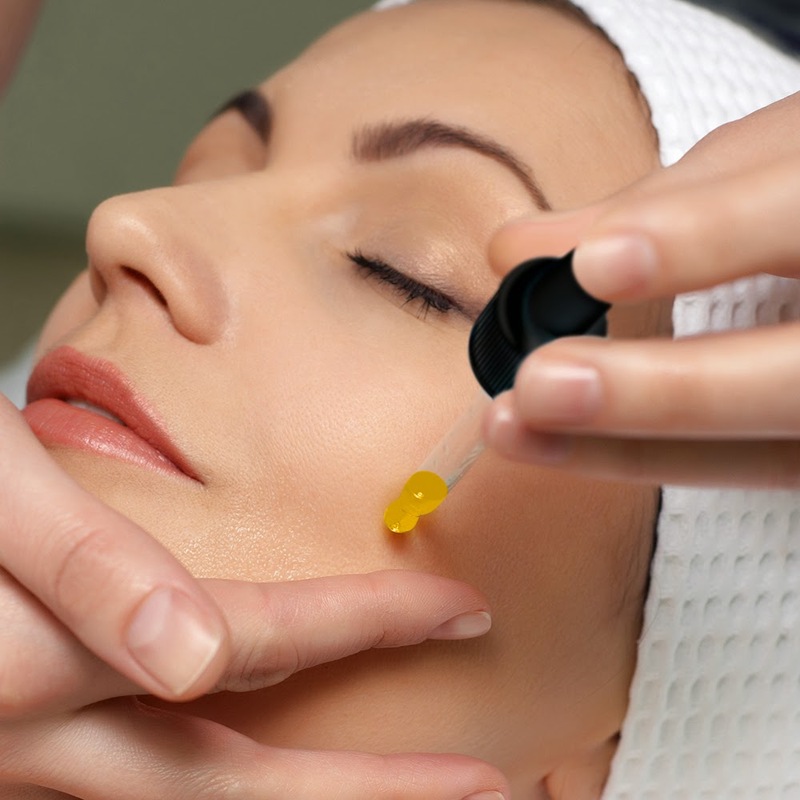 There are tons of products out there which promise to correct all of these problems. The trouble is that I've tried many of them and haven't found one that's given me satisfying results. Until now. 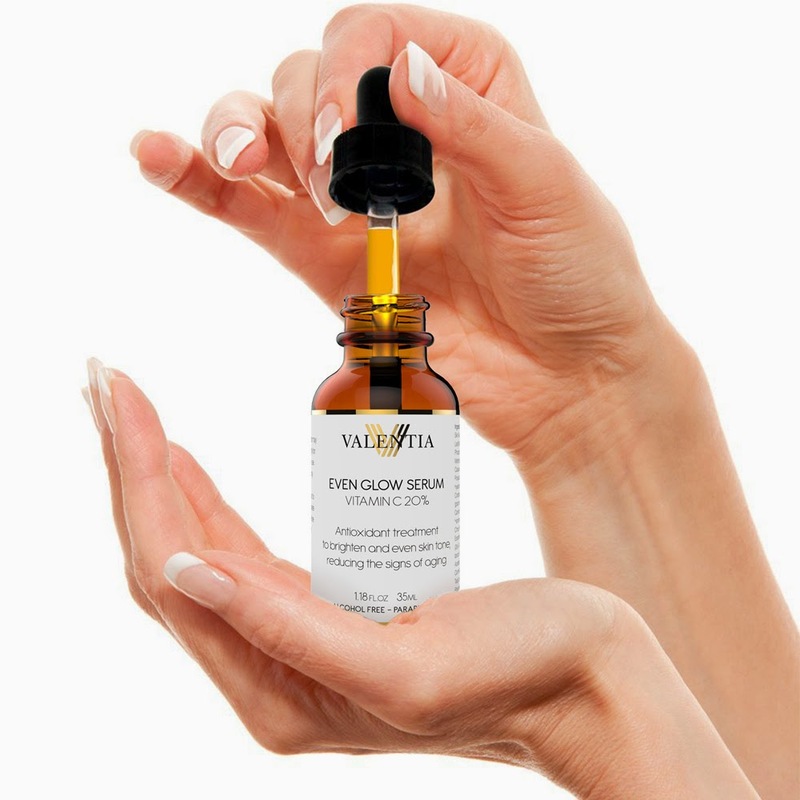 The Valentia Even Glow Serum makes my face feel amazing! Every morning and night, I apply the serum to my face after washing it, and then allow thirty seconds or so for it to completely absorb into my skin. It absorbs quickly and doesn't leave my face looking shiny at all. After it's absorbed, I then apply my moisturizer and makeup. Since I've been using this product for the last two months, I've noticed that my skin is softer and brighter with the tone evening out. I even think this product is making my makeup look better and fresher all day long. The dark circles under my eyes are lightening, and I think pretty soon they won't be there at all! I enjoy the serum's pleasant scent of vitamin C. Lately I've been reading about how vitamin C is being used more and more in combating the effects of aging. With the way the serum feels like it's softly tightening up my skin, I can see the lines around my eyes easing up. 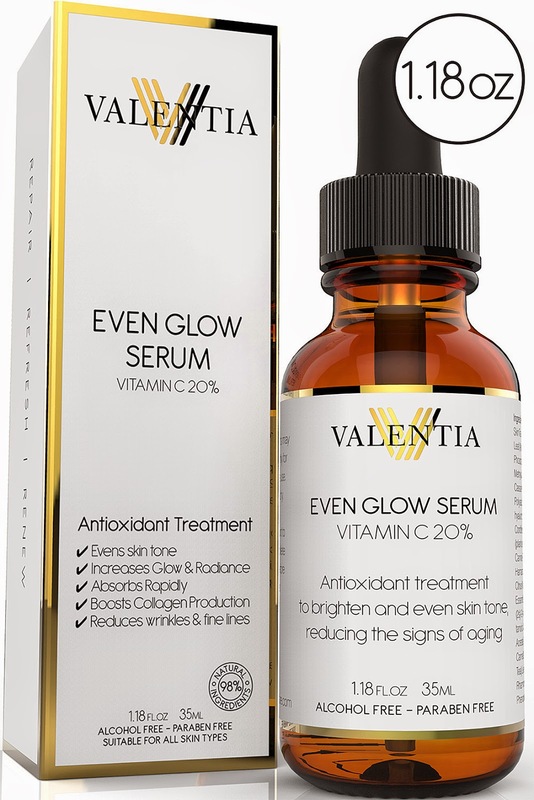 I'm completely satisfied with the Valentia Even Glow Serum - I must admit I was skeptical at first, but the results I've been experiencing are even better than I imagined. I've already recommended this product to my family and friends and will be continuing to use this product into the future. Keep It Secret by Olivia Snow ~ Release Day!